Bought a couple of these close to their launch, boy oh boy was I pleased. Like the skulls (of which, this kit contains 2) the parts are perfectly scaled to 28mm (heroic) scale. 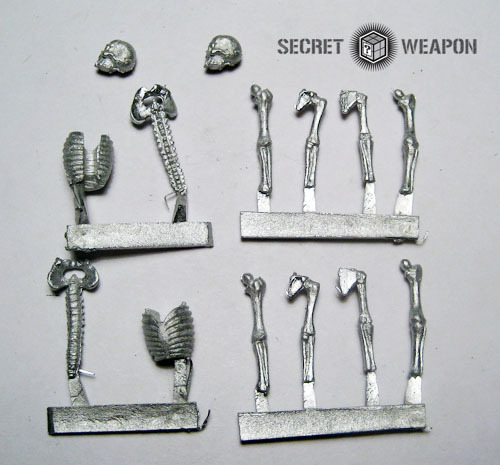 The molds are clean and done to a high quality and they lack "strange" anatomy that exists in the skeleton infantry of war game kits you may be tempted to buy in order to spruce up your displays with some carnage. They're a great value, and with the quality they have you might have expected to pay more.